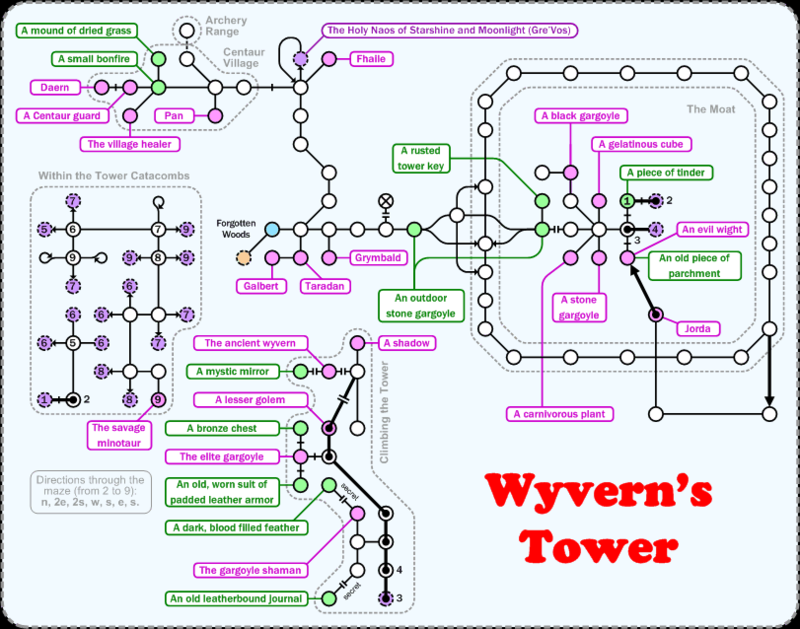 Wyvern's Tower. I'm not sure how clear it is with all the arrows between the two gargoyles, basically it just means that if you don't push/pull gargoyle before you move across, you fall in the moat. Walk ( 6n, 3nw, w, n, 4e, s, w, sw, s, sw, 2s, sw, 3w, ne ) to get from DH to the room marked in blue.